​Like humans in this complex modern world, I wear multiple hats and have diverse interests. ​I lead global communications and marketing for the GSMA Mobile for Humanitarian Innovation programme, a 15.5 million GBP (20 million USD) partnership with the United Kingdom's Department for International Development to accelerate the impact and delivery of digital humanitarian assistance. I also teach yoga, enjoy writing, and am passionate about food. "Keeya joined our team and applied her professional communications expertise to OCHA's humanitarian evaluations. She proved to be witty, extremely creative and hard working to devise a strategy to communicate the findings of humanitarian evaluations to a non-professional audience. It was a pleasure and a professional gain to have Keeya-Lee supporting our activities. 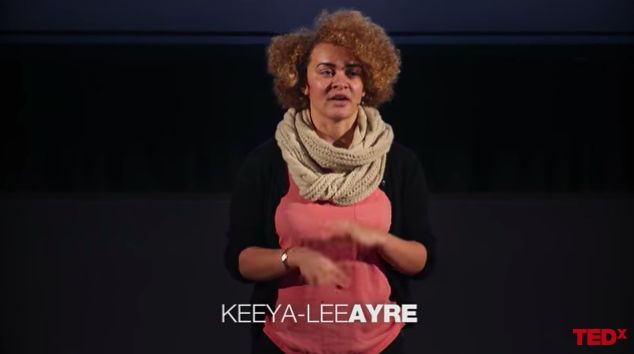 Keeya is humble, yet self-aware of her strengths and very easy to work with. I recommend her fondly and admire her drive for results. Keeya worked in our organization as a communications manager and her inputs have been tremendous in the growth of our communications strategy. She is able to quickly identify needs and gaps, and to respond to them in a very efficient way. Beyond communications, Keeya was also involved in the design of a collective impact strategy and did excellent work in creating a framework for us to develop. She is a very curious person and has an impressive working capacity. Keeya is a great team player and it has been such a pleasure to work with her. I strongly recommend her for any upcoming opportunity. I had the pleasure of working closely alongside Keeya during the early stages of the Perth Global Shapers Hub's establishment. In her role as Hub Secretary, Keeya was well organised, reliable, and trustworthy. She was an invaluable support to our Hub, carrying out her role with exemplary diligence and time management skill. She also showed plenty of initiative, and in fact co-founded one of the Hub's projects, Perth SOUP Inc. I would recommend Keeya to anyone looking to partner with somebody who demonstrates integrity, intellect, and a strong drive grounded in values. Reach out if there's anything at all you'd like to discuss! ​I'm firmly of the belief that no question is silly... at least the first time it's asked.